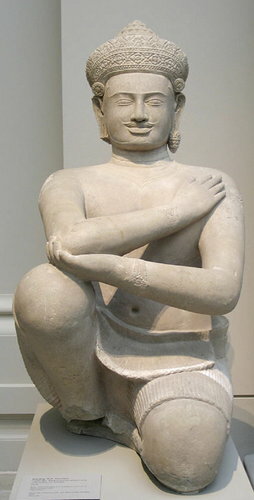 The New York Times writes about The Metropolitan Museum of Art's decision to return two valuable pieces of art to Cambodia, known as the "Kneeling Attendants" (photo of one above), found to have been looted from their original location in the early 1970s. Domaine shares an insider's tour of the New Orleans home of Sara Ruffin Costello, former Creative Director for Domino magazine. Sara & family uprooted from NYC and reside in an historic home in the city's Garden District. What Now Atlanta reveals that Brash Coffee will be opening a coffee shop within Environment Furniture, slated to start serving patrons sometime between mid-May to mid-June. W magazine features Rainer Judd, daughter of artist Donald Judd, as she revisits her childhood home in NYC's SoHo neighborhood. 101 Spring Street was originally a textile factory and purchased by Donald Judd in 1968. It is scheduled to open as a public art space in June. Matchbook posts the details of the recently released documentary "Scatter My Ashes at Bergdorf's". The film takes the viewer beyond the trend setting street-side window displays and inside this legendary NYC department store, with revealing interviews from today's top fashion stylists and designers.